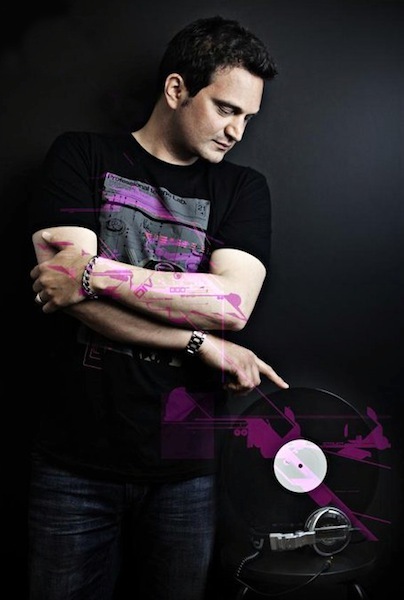 Abyss (aka Giuseppe Morabito) is best known internationally for the club hit “Mind Games”, a song that has been so successful that the echo has not yet gone out. This debut single was released back in 2006 on Buzzin’ Fly and together with its B-side “The Dreamer” it captured the attention of house DJs across the spectrum. John Digweed opened his annual ‘Transitions’ mix CD with BOTH tracks, while serious plaudits rained in from big-room spinners like Pete Tong, Sharam and Nic Fanciulli through to back-room heads like Jimpster, Tom Middleton and Jerome Sydenham. After a couple of equally successful singles with Lilth Recordings and Parquet Recordings, Abyss is back is bringing it back home to Buzzin’ Fly with his new single “Birdsong”, which promises to be a summer killer. On this deep-house gem, pushy, agitated drums and sub-bass make way for a dark latino keyboard loop and sprinkles of melancholy piano. The breakdown then collapses into empty reverse gear before surging out into a loopy finale. With early support from the likes of Laurent Garnier, Rob Da Bank, Pete Tong or Andre Lodemann, the single is a fitting follow up to “Mind Games” and perfect summer night-time music. It comes with two official remixes by Snoretex (aka Sam Willis of Walls and Allez-Allez) and Flowers and Sea Creatures. Snoretex opens his remix with a metal bird cacophony before settling into a tracky, trippy ride that is part blissed-out euphoria, part shadowy Lil Louie. Meanwhile, Montreal’s Flowers and Sea Creatures strip out the drums and offer up a rich and textured ambient masterpiece, adding new voices and swirling Juno 106 lines for the perfect set opener. You can stream the original and the remixes on SoundCloud. Find Abyss on MySpace. Buy it from the new Buzzin’ Fly online store.